On the first day of the seventh month, the Israelites were to “have a day of rest, a sacred assembly commemorated with trumpet blasts” (Lev. 23:24). The purpose of this commemoration isn’t entirely clear. 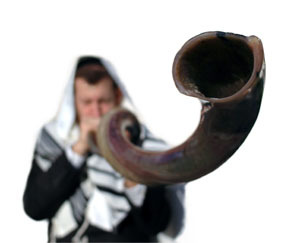 Unlike the preceding feasts, Trumpets isn’t associated with the history of the exodus or with Israel’s agricultural seasons. Other than instructions about offerings to be made that day, there is little else written about Trumpets in the Old Testament. Here we have a pattern: The new king is anointed, then announced with trumpets. The coronations of Jehu and Joash follow this pattern as well, suggesting this was something of a tradition in Israel (2 Kings 9:12-13; 11:12-14). Trumpets were also blown when Absalom tried to usurp David’s rule but since God had not chosen him there was no anointing. The Old Testament sequence of installing a king suggests that Christ’s anointing (Pentecost) was followed by His coronation as King of kings (Trumpets). When we discuss the Day of Atonement we will see how this feast also fits with the logic of this pattern. “God has ascended amid shouts of joy, the LORD amid the sounding of trumpets. Sing praises to God, sing praises; sing praises to our King, sing praises. For God is the King of all the earth; sing to him a psalm of praise. God reigns over the nations; God is seated on his holy throne” (Psalm 47:6-8).